Our values and behaviours framework describes how we want people who come into contact with Sussex Partnership to experience us. They have been developed with staff and are linked to the NHS constitution. 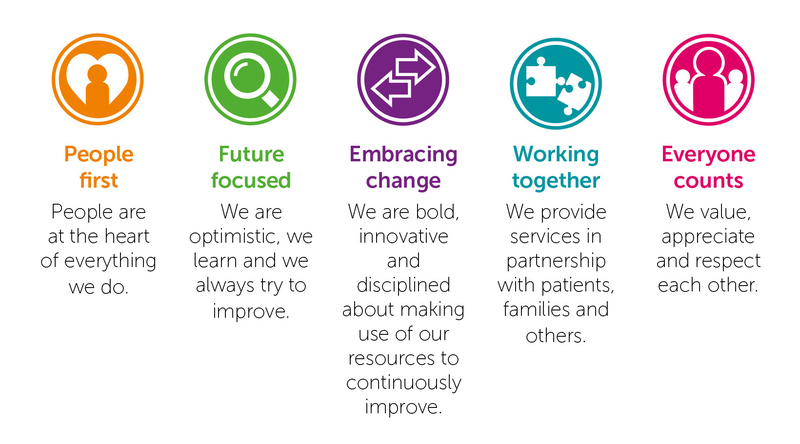 They will help us achieve Our 2020 Vision, our plan to improve patient care.